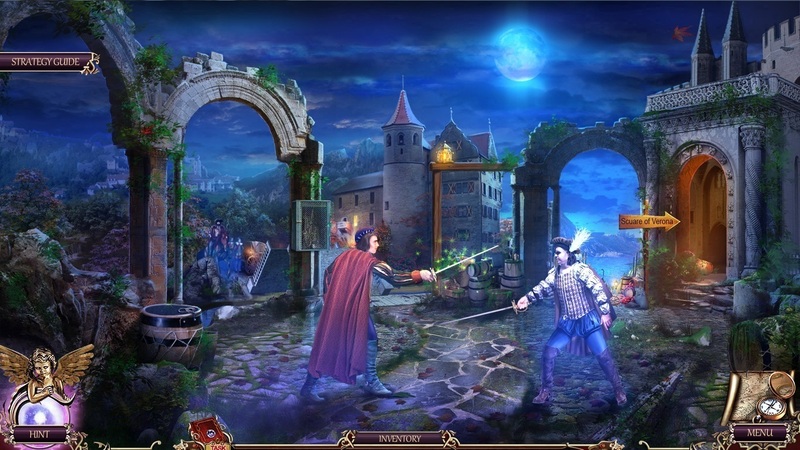 Explore Shakespearean Verona in this hidden object game. Is there a better alternative to Death Pages: Ghost Library CE? Is Death Pages: Ghost Library CE really the best app in Strategy and War category? Will Death Pages: Ghost Library CE work good on macOS 10.13.4? In Death Pages: Ghost Library CE, you come to the city library to investigate the case of three teenagers gone missing. It turns out that the former owner of the library, the Alchemist, kidnapped the souls of three readers and planted them in the book "Romeo and Juliet". They are to live the lives of the main heroes but you can stop the tragic ending! Wander the gloomy halls of the library, travel to the medieval streets of Verona, discover the Alchemist's insidious plan and save the children! This is a special Collector's Edition release full of exclusive extras you won’t find in the standard version. Version 1.0.1.10: Release notes were unavailable when this listing was updated. Death Pages: Ghost Library CE needs a review. Be the first to review this app and get the discussion started! Death Pages: Ghost Library CE needs a rating. Be the first to rate this app and get the discussion started!